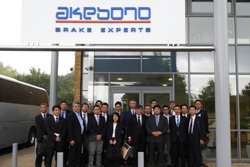 With Our Suppliers | Stakeholders | Corporate Social Responsibility (CSR) | Akebono Brake Industry Co., Ltd.
Akebono is striving to maintain and enhance relationships with its suppliers. 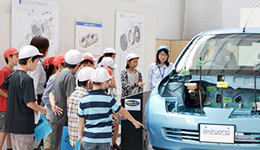 As part of activities aimed at enhancing partnerships with suppliers, Akebono and “Seiwa Kai,”* maintain links based on the idea of addressing the same targets and learning together. 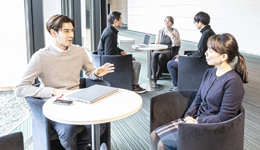 One of the activities undertaken with Seiwa Kai is study sessions for those in the field so that they may witness for themselves the actual initiatives implemented for safety and quality at our production bases promoting their mutual growth and development. 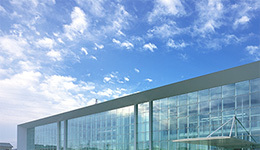 In addition, we also conduct tours of our overseas locations to promote understanding of our global development status. In 2017 we visited our locations in Europe. 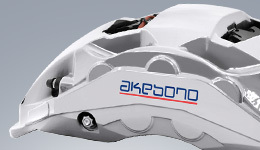 To survive amid the global market, Akebono recognizes that strengthening SGQCDDM* is essential. We believe that our ability to satisfy these requirements is largely dependent on mutual understanding and relationships of trust with our local suppliers. Keeping high regard for human rights in mind, we put great emphasis on maintaining robust communications within local supply chains, as well as understanding and respecting local cultures and value systems in the areas that we expand into. Moreover, when selecting our local suppliers, we also give consideration to compliance and work to achieve the sustainable and mutual development of the Company and its suppliers. 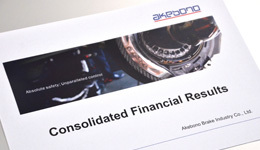 With the aim of building and maintaining favorable partnerships with all of its suppliers, in fiscal 2013 Akebono established a “Supplier Whistleblower Hotline.”* Whenever a complaint from a supplier is received, the secretariat of the Compliance Committee will address the problem and take necessary steps to ensure that the problem is settled at an early stage and that preemptive countermeasures are in place to detect and prevent similar problems from recurring. Akebono will acknowledge any risk that arises in the course of its operations and address it by implementing appropriate measures. By doing so, we will strive to better fulfill our responsibility as a corporate citizen. * The Supplier Whistleblower Hotline may be accessed from our corporate website.